We are Melbourne's Specialist in acrylic reception signs ! if you are busy during working hours..
a custom sign for your business! Rely on our professional sign writers to design, manufacture and install a custom sign for your business! Avanti Signs specialises in providing superior signs for businesses across Melbourne at affordable prices, allowing you to personalise your brand and stand out from the crowd. From professionally designing your business logo, to manufacturing and installing a range of custom signs, our talented sign makers are able to provide a comprehensive signage solution to promote your company. Based in Melbourne, our highly experienced consultants, in-house graphic designers and sign writers will work closely with you to bring your branding to life. We provide a range of sign writing services for different areas of branding including store fronts, illuminated signs, panel signs and promotional products. Not only this, but we utilise state of the art technology to create the most advanced, unique and appealing branding solutions seen throughout Melbourne. 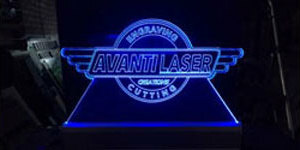 This includes laser services and the vibrant edge lit style. We are able to provide a professional sign makers service for indoor and outdoor signs throughout the city. So, if you’re opening a bakery in Bayswater, a real estate agency in Ringwood or a supermarket in Scoresby, get in touch with the team at Avanti Signs and we can create a stylish and appealing custom sign for you. At Avanti Signs, we have mastered the balance between providing an outstanding service for our valued clients and the creation of stylish, eye catching signage. We believe that these two factors are imperative to providing a top-class service. Therefore, we work closely with our clients, listening to their needs, business strategy and branding ideas before going to work on creating awesome signage that reflects their goals. The result is creative branding for your business that will attract the eyes of customers who will want nothing more than to check out what it is that you have to offer. If you would like to learn more about our professional sign writers service, or would like to hold a consultation where we can discuss your company’s branding ideas, feel free to get in contact with our friendly team of staff. We have a dedication to providing an exceptional standard of client service and will be happy to discuss your business and its branding strategy. 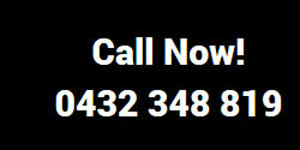 Call 0432 348 819 or fill out and enquiry form on our contact page and we will get back to you with all the information you require. We can discuss your Sign projects after hours via phone, or we can come on site for a more in-depth onsite assessment if you’re busy during the day. 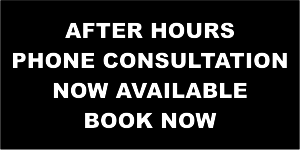 That’s the Avanti Service- please get in touch with us today to see how we can help.